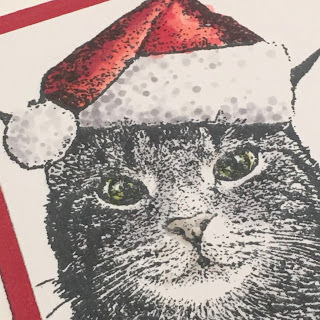 Today I'm on the Technique Junkies blog sharing a fun Christmas card created with the new Christmas Kitty stamp. Click HERE to head over to the TJ Blog to see just what kind of trouble this adorable kitty has been up to. Don't forget that the new September release stamps are still 15% off through tomorrow, Sept. 8th! No coupon or code needed! And here's a code for 10% off all the other goodies you'd like to add to your cart as well!